Briar Rose Design was born out of a love of all things wild and natural. 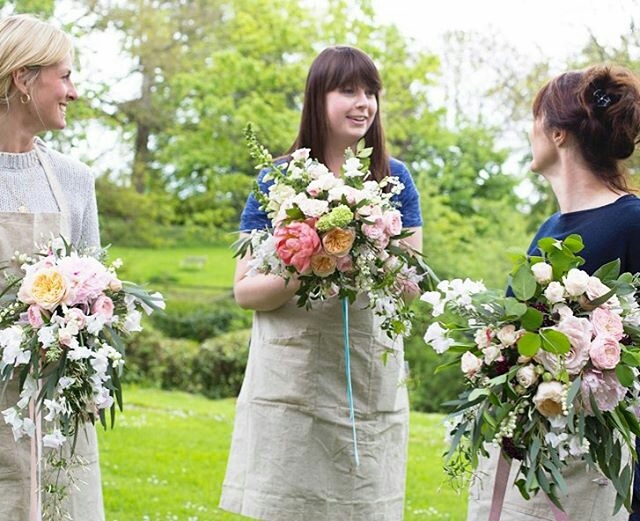 Melanie at Briar Rose is a florist working in a relaxed and loose style from her country studio in central Scotland. We now also have a small appointments only studio in the Hidden Lane in Glasgow’s West End. Using predominantly Scottish grown wildflowers she creates floral designs that tell stories; this could be through colour themes, scents, or individual components. Throughout history flowers have been used in folklore, traditional medicine and even as a secret language in Victorian times. Every floral design from Briar Rose Design takes into account these narratives to create a new tale of their own, and all wedding flowers come with their own wedding story explaining these symbolic meanings. Melanie takes inspiration from the changing seasons, stories and artworks and is expanding her cutting garden to try to reach 80% Scottish grown designs. Where possible her unstructured, dreamy style uses traditional and environmentally friendly practices which complement the natural beauty of the wildflowers and foliage she uses. Briar Rose Design offer wild wedding flowers, funeral flowers and event styling and are also available to run flower workshops in central Scotland, from Stirling to Glasgow, Edinburgh to Perth and much further afield! We also offer weekly corporate flowers for restaurants, offices and salons. For a consultation, get in touch via our contact form.